The Vision Zero project aims to eliminate distracted driving among North Dakota’s government officials. North Dakota may be known as the Roughrider State, but officials there want to make sure any government trips in a car go as smoothly as possible. Lawmakers recently announced a new policy that would ban state employees from using cell phones behind the wheel. The concept is part of North Dakota’s “Vision Zero” project introduced earlier this year. Its aim: to eliminate all cases of roadway death and serious injury in the state. North Dakota is already set up to crack down on distracted driving, with state law barring any driver from sending electronic messages while behind the wheel. Those under age 18 are restricted from use of any electronic communication device, period. Still, exceptions are left in the legislation for hands-free features and dialing phone numbers while driving. For state employees, the new law is especially stringent. 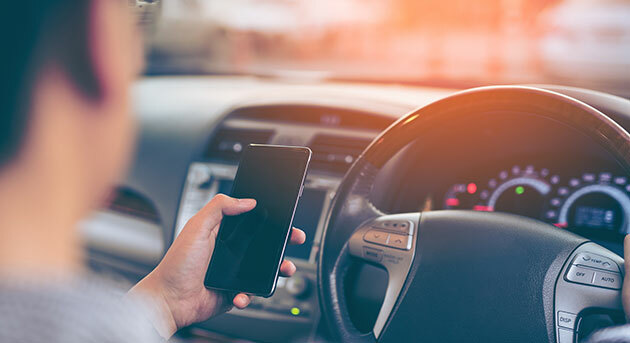 It prohibits any use of a cell phone at all when behind the wheel, relegating drivers to either leave their phones alone or pull over to use them. The new rule will apply to anyone piloting one of the state’s 3,500 fleet vehicles and extend to state employees using their personal vehicles while on the clock. Violation of the law will result in a penalty determined by the agency that employs the offender. Distracted driving is just one facet of the Vision Zero project, which also addresses impaired driving, aggressive driving, speeders, child passenger safety, and motorcycle safety. Indeed, texting while driving is a growing epidemic across the country, with the National Highway Traffic Safety Administration (NHTSA) reporting 3,450 related deaths in 2016 alone. But all of that precaution may be especially useful in the Roughrider State. North Dakota has been named the deadliest state to work in three out of the last four years, with many of those casualties coming on the road. And the NHTSA has reported that 8.8% of the state’s total roadway fatalities in 2016 were commercial truck drivers. With its oil industry booming, more and more drivers may be at risk on North Dakota roads. Thankfully, the state’s attention to safety is also on the rise.